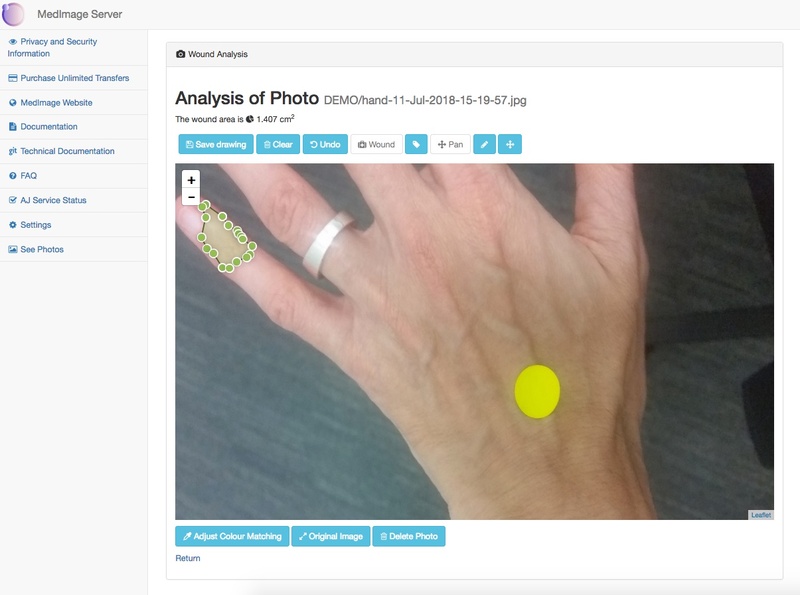 This MedImage Server add-on provides the ability to automatically analyze and track the size of a wound over time. This product has been built in partnership with Nurse Maude, New Zealand. The software is still in Beta, so you can expect some portions to still be undergoing testing. This add-on requires the MedImage Server >= 1.5.3, on Windows or Linux. If you are happy with the software, please let us know, and we can arrange an invoice. If not, we’re grateful for your feedback. Note: Prices are in $US. To convert to New Zealand dollars, $US329 = $NZ450. Single patient reports that include the wound’s photos and the patient’s percentage improvement over time. 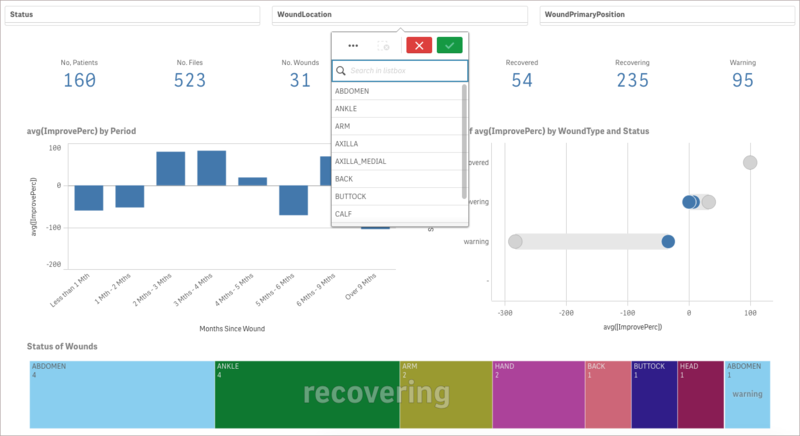 The opportunity to customise the reports with your own data, including e.g. Note: We welcome a co-operative working arrangement with National and District Health Boards (DHBs) and other interested parties. Please contact us for further pricing and integration details.